Religious people often have difficulty communicating about their faith with people who, on the basis of reason, have already rejected religion. Usually, both sides are to blame, less interested in understanding the other’s point of view than in winning a theological or philosophical debate. Thus, the conversation deteriorates into assertions of unprovable “truths”. 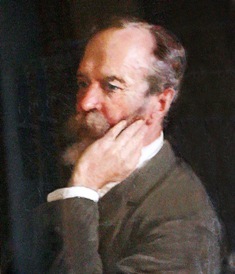 In the Varieties of Religious Experience, William James offers a totally different approach. He looks at private, inward experiences, as reported by people in their letters, journals and autobiographies, with the analytic eye of a philosopher and scientist. In doing this, he provides a ground that can be shared by both the skeptical and the faithful. For example, when he talks about God, James does so as an empiricist, without asserting more than he can prove. After discussing extended quotations of first hand reports from various saints, he says the following: [pg. 271-3] The saintly character is the character for which spiritual emotions are the habitual centre of the personal energy; and there is a certain composite photograph of universal saintliness, the same in all religions, of which the features can easily be traced. A sense of friendly continuity of the ideal power with our own life, and a willing self-surrender to its control. An immense elation and freedom, as the outlines of the confining selfhood melt down. A genuine first hand religious experience like this is bound to be a heterodoxy to its witnesses, the prophet appearing as a mere lonely madman. If his doctrine prove contagious enough to spread to any others, it becomes a definite and labeled heresy. But if it then still prove contagious enough to triumph over persecution, it becomes itself an orthodoxy; and when a religion has become an orthodoxy, its day of inwardness is over: the spring is dry; the faithful live at second hand exclusively and stone the prophets in their turn. The new church, in spite of whatever human goodness it may foster, can be henceforth counted on as a staunch ally in every attempt to stifle the spontaneous religious spirit, and to stop all later bubblings of the fountain from which in purer days it drew its own supply of inspiration. Let me pass next to Charity and Brotherly Love, which are a usual fruit of saintliness…. When Christ utter the precepts: “Love your enemies, bless them that curse you, do good to them that hate you, and pray for them which despitefully use you, and persecute you,” he gives for a reason: “That ye be the children of your Father which is in heaven; for he maketh the sun to rise on the evil and on the good, and sendeth rain on the just and on the unjust.” One might therefore be tempted to explain both the humility as to one’s self and the charity towards others which characterize spiritual excitement, as results of the all-leveling character of theistic belief. But these affections are certainly not mere derivatives of theism. We find them in Stoicism, in Hinduism, and in Buddhism in the highest possible degree. They harmonize with paternal theism beautifully; but they harmonize with all reflection whatever upon the dependence of mankind on general causes; … Religious rapture, moral enthusiasm, ontological wonder, cosmic emotion, are all unifying states of mind, in which the sand and grit of the selfhood incline to disappear, and tenderness to rule. Thus, James frames the teachings of Christ in a way that separates it from the theological dogmas of Christianity. The faithful and agnostic alike can read such a passage and find agreement, perhaps with reservations, but without feeling that their core beliefs are being challenged. A similar discussion follows the first hand reports of mystics from various traditions. Here James evaluates their significance to the rest of us, pinpointing what we can learn from the experience of religious mystics, even though we might not have directly had such experiences ourselves. Mystical states, when well developed, usually are, and have the right to be, absolutely authoritative over the individuals to whom they come. No authority emanates from them which should make it a duty for those who stand outside of them to accept their revelations uncritically. They break down the authority of the non-mystical or rationalistic consciousness, based upon the under standing and the senses alone. They show it to be only one kind of consciousness. They open out the possibility of other orders of truth, in which, so far as anything in us vitally responds to them, we may freely continue to have faith. In all sad sincerity I think we must conclude that the attempt to demonstrate by purely intellectual processes the truth of the deliverances of direct religious experience is absolutely hopeless. Thus, religion is not purely rational, and attempts to make it so, in James’s view, ultimately fail. However, the thrust of James’s investigation is that religious experiences, though irrational, transitory and irreproducible, are both real and important to the human condition. No purely rational approach is sufficient to fully understand human nature. 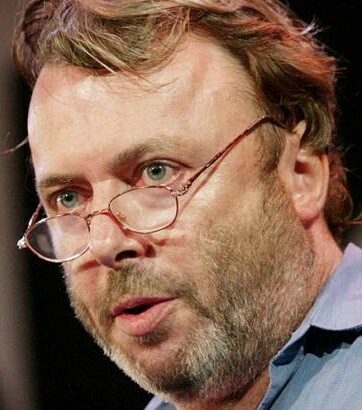 For a rational person who has not directly experienced such things for himself, James says that accepting their authority is a matter of choice, of faith. Nonetheless, ignoring religious experience, as many empiricists are wont to do, simply leaves one with a philosophic point of view that is incomplete and hollow. 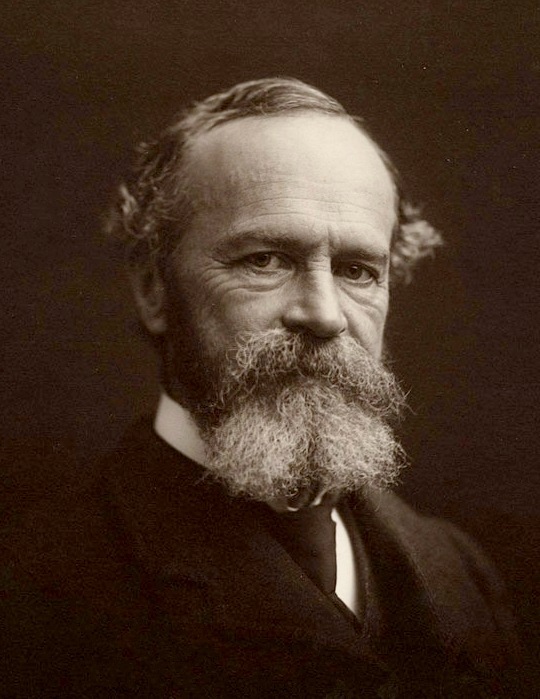 In the Varieties of Religious Experience, the philosopher and psychologist William James focuses on those intense, personal experiences that he sees as the core of all faiths, eschewing the creeds and theology that usually dominate comparative studies of religion. Quakers will find this approach congenial, and indeed, James expresses admiration for our religious society. Among the many first hand accounts that he quotes in these lectures are three extended passages from the Journal of George Fox. I have collected these here, along with James’s observations, not as a summary of the book, but as a slice of particular interest to Friends. The first is from the opening lecture, on “Religion and Neurology”. According to the general postulate of psychology just referred to, there is not a single one of our states of mind, high or low, healthy or morbid, that has not some organic process as its condition. Scientific theories are organically conditioned just as much as religious emotions are; and if we only knew the facts intimately enough we should doubtless see ‘the liver’ determining the dicta of the sturdy atheist as decisively as it does those of the Methodist under conviction anxious about his soul . A second George Fox excerpt is from the lectures on Saintliness. Here James is discussing the desire of the devout to live in harmony with their calling. The ascetic forms which the impulse for veracity and purity of life may take are often pathetic enough. The early Quakers, for example, had hard battles to wage against the worldliness and insincerity of the ecclesiastical Christianity of their time. Yet the battle that cost them most wounds was probably that which they fought in defense of their own right to social veracity and sincerity in their thee-ing and thou-ing, in not doffing the hat or giving titles of respect. It was laid on George Fox that these conventional customs were a lie and a sham, and the whole body of his followers thereupon renounced them, as a sacrifice to truth, and so that their acts and the spirit they professed might be more in accord. James follows this with a passage from the autobiography of Thomas Elwood, who was at one time secretary to John Milton. James concludes, “These early Quakers were Puritans indeed. The slightest inconsistency between profession and deed jarred some of them to active protest.” [pg. 294] James then continues with an excerpt from John Woolman, an eighteenth century American Friend. James’s other extended quotation from Fox’s journal is one that many of us would choose in an introduction to Quakerism. Here, Fox describes the moment when he received the inspiration that launched the Religious Society of Friends. But in this course of lectures ecclesiastical institutions hardly concern us at all. The religious experience which we are studying is that which lives itself out within the private breast. First hand individual experience of this kind has always appeared as a heretical sort of innovation to those who witnessed its birth. Naked comes it into the world and lonely; and it has always, for a time at least, driven him who had it into the wilderness, often into the literal wilderness out of doors, where the Buddha, Jesus, Mohammed, St Francis, George Fox, and so many others had to go. 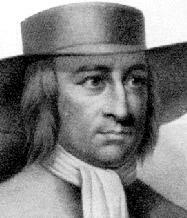 George Fox expresses well this isolation; and I can do no better at this point than read to you a page from his Journal, referring to the period of his youth when religion began to ferment within him seriously. “I fasted much,” Fox says, “walked abroad in solitary places many days, and often took my Bible, and sat in hollow trees and lonesome places until night came on; and frequently in the night walked mournfully about by myself; for I was a man of sorrows in the time of the first workings of the Lord in me. George Fox: Journal, Philadelphia, 1800, pp. 59-61, abridged. This book contains many passages that are just as provocative as those above. I hope this taste has whetted your appetite, because I plan to write more about James’s ideas.